New photos from Ylläs the harder afternoon excursion. 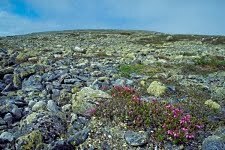 See the magnificient fjells and the rough terrain (pdf). 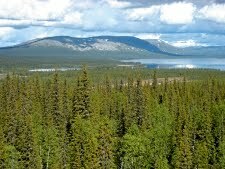 The pre-conference excursion will take you to western Lapland and Pallas-Yllästunturi National Park. The scenery in Pallas-Yllästunturi National Park is dominated by subalpine fells and heaths surrounded by northern boreal forests and mires in their natural state. The silhouette of the fells can be seen practically everywhere. The picturesque beauty of the Pallastunturi Fells has made the area one of the Finnish national landscapes. 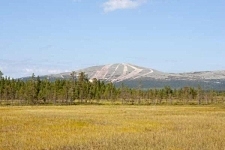 During the excursion you will see alpine treelines of the main tree species, magnificent northern rivers, unique villages and Rovaniemi, the capital of Lapland. Important topic in the excursion will be the ongoing discussion between livelihoods on the rights to use nature. 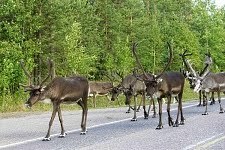 Tourism, reindeer husbandry, forestry, mining - and last but not least - nature protection, are willing to take their parts in the use of natural resources. Western Lapland belongs to the cleanest and most untouched regions in Europe, which is why large scale meteorological and environmental observation stations were established in Pallas. There is an option to visit a climate change observation station during the excursion. Price includes: bus tour, accommodation, breakfast, daily lunch or lunch package, daily dinner or dinner package (exception: only lunch during the last day), guiding, demonstrations, presentations, and visiting points mentioned in the program. Walking: minimum daily walk 1-3 km. Longest optional day tour 15 km. Several possibilities for hiking depending on the weather and interests of the group.